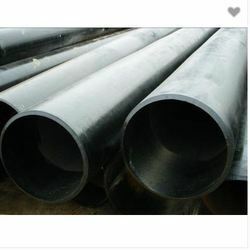 Nandishwar Steel range of Carbon Steel Pipes And Tubes is sourced from world-renowned vendors, who utilize effective techniques. These vendors manufacture the range using raw material of superior quality that makes it to last for a longer time period. Nandishwar Steel products are launched in the specifications of Seamless and ERW pipes in Grade SA 106, Gr A & B, BS 3059 Part I & II, ASTM 515 / 516 and Gr A, B, C, ASTM A 53.